The Czechoslovakian strategic air defense network provided air defense for a critical portion of territory in the Warsaw Pact during the Cold War. 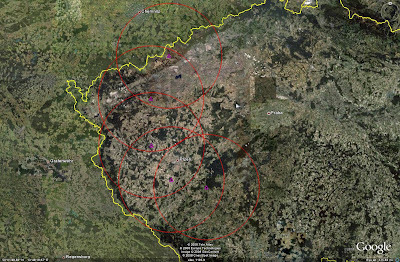 Various SAM sites provided air defense for the Warsaw Pact's southwestern region, theoretically preventing NATO air strikes from being mounted into Czechoslovakia or onward into East Germany or Poland. 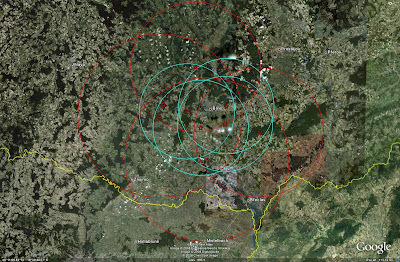 In the imagery contained within this article, SAM systems will be identified as follows: 2K12 sites are marked with green circles, SA-75 and S-75 series sites are marked with triangles and red range rings, S-125 series sites are marked with stars and light blue range rings, and S-200 series sites are marked with hexagons and purple range rings. The 71st PLRB provided air defense for the Czechoslovakian capital of Prague. Initial air defense units were equipped with the SA-75 Dvina. In 1965, these units were reequipped with S-75M Volkhov batteries, with the Dvina batteries being relocated to stand up the 77th PLRB. In 1973 the 71st PLRB began to receive the S-125 Neva, and in 1985 the S-200VE Vega arrived. By the end of 1989, eight S-75M and eight S-125 sites were active, alongside the S-200VE site. The S-300PMU arrived in 1990, displacing one of the S-75M batteries near Lisek. Czech air defense units were reorganized in 1994, with the 72st PLRB becoming the 41st PLRB. The 41st PLRB's S-200VE battery disbanded in 1994, and the entire unit was disestablished in 1999. The following image depicts the coverage of the 71st PLRB in 1989. S-200VE coverage is not depicted. 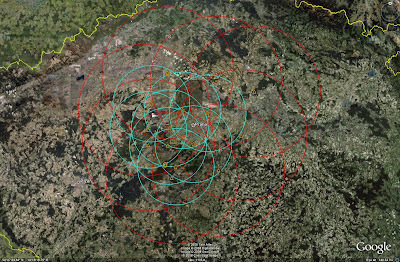 The 76th PLRB provided air defense for the city of Brno and the surrounding areas. Stood up with the SA-75 Dvina at four locations in 1965, the 76th PLRB added four S-125 batteries in the mid 1970's. In 1985 two Dvina batteries reequipped with the S-75M Volkhov, the two remaining Dvina batteries being retired by 1989. 1989 also saw the addition of the second Czechoslovakian S-200VE site. Unlike the 71st PLRB, when the 76th PLRB underwent reorganization the S-200VE was retained. The 76th PLRB became the 42nd PLRB under the reorganization, and was disestablished in 1999. The following image depicts the coverage of the 76th PLRB in 1985. Note the larger engagement zones of the two S-75M batteries. The 77th PLRB was established in 1965 to defend the region surrounding Ostrava. As previously mentioned, the initial equipment came from the 71st PLRB in the form of surplus SA-75 Dvina systems which were deployed at five locations. Between 1985 and 1990, the 77th PLRB was reequipped with S-75M Volkhov batteries. The 77th PLRB survived the 1994 reorganization unscathed, retaining all five operational batteries until the unit was disbanded in 1999. The following image depicts the coverage of the 77th PLRB in 1990. 43rd PLRB coverage was identical. The 185th PLRB was established in 1962 to defend the western border of Czechoslovakia and the approaches to Prague. Given that the western border was shared with the southeastern border of West Germany, a layered air defense posture such as this would provide greater defense against a NATO aerial attack. The first S-75M Volkhov batteries stood up in 1964, eventually equipping five locations. The northern two locations were disbanded between 1985 and 1990. The 185th PLRB did not survive the reorganization, having been disestablished sometime between 1990 and 1994. The 186th PLRB was established in the early 1960's to provide defense of the area surrounding Bratislava. After reception of the S-125 in the mid 1970s, the 186th PLRB consisted of four S-75M sites and four S-125 sites. The 186th PLRB was renamed the 37th PLRB following the split of Czechoslovakia in 1993, becoming part of the new Slovakian air defense network. The 37th PLRB was inactive by 2002. Tactical air defense for armored units was provided by nine 2K12 Kub units. These units were stood up between 1975 and 1985. Each unit was based at a garrison and was provided with a fixed launch site for field deployment to allow the Kub batteries to perform as part of the overall air defense network. Two Kub units became part of the Slovakian air defense network following the split in 1993. 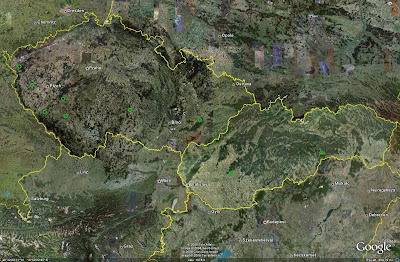 The western unit at Nitra became part of the 36th PLRB, with the eastern unit becoming part of the 35th PLRB. 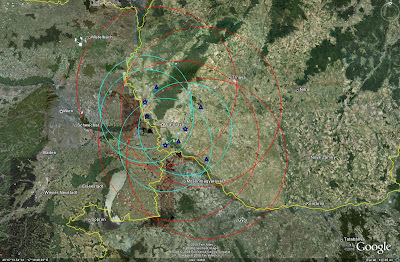 The following image depicts the locations of the 2K12 batteries. Where known, the placemarks depict the locations of the firing locations. Taken as a whole the Czechoslovakian Cold War SAM network was arranged geographically, with each brigade being responsible for defending a set piece of territory usually surrounding a major population center. The only exception to this rule would be the 185th PLRB, which was emplaced to provide an additional barrier of defense for Prague. 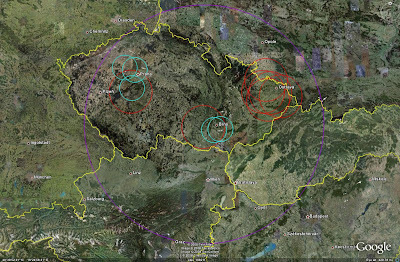 The following image depicts the locations of the various strategic SAM units based in Czechoslovakia during the Cold War up through 1989. 71st PLRB sites are orange, 76th PLRB sites are red, 77th PLRB sites are yellow, 185th PLRB sites are purple, and 186th PLRB sites are blue. 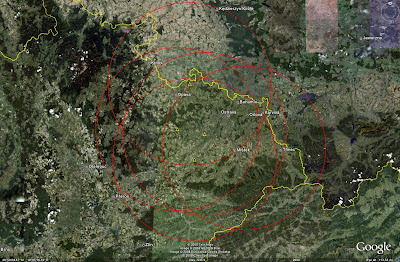 The main drawback to the Czechoslovakian SAM deployment strategy was that a large swath of territory between Prague and Brno was largely undefended, only falling under the umbrella of the S-200VE batteries of the 71st and 76th PLRBs. 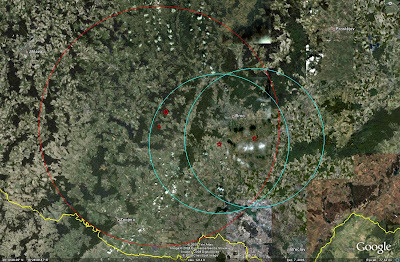 As the S-200VE did not perform well at low altitudes or against maneuvering targets at long ranges, the potential for a NATO strike package to ingress through the area was high. It is likely that this are would have been monitored and defended by Soviet and Czechoslovakian interceptors during a time of war, minimizing this potential. In fact, this area may have been set aside for use as an egress corridor for Soviet and Warsaw Pact strike packages, the lack of SAM coverage preventing any friendly fire incidents during the opening stages of a critical air campaign against NATO. Apart from the deployment strategy, the primary weakness of the Czechoslovakian air defense network, especially during the latter stages of the Cold War, was an overreliance on older SAM systems. NATO members had experience against all of the SAM systems deployed in Czechoslovakia, and the potential for a debilitating electronic warfare campaign was very high. Also, each SAM battery could only engage a single target per engagement radar, with only the S-200VE sites featuring multiple engagement radars. This made the Czechoslovakian strategic SAM network vulnerable to saturation. This was a primary drawback of any nation relying on Soviet-era SAM systems for strategic air defense: until the arrival of the S-300P series SAM systems, a prohibitive number of SAM batteries would be required for any strategic SAM network to be regarded as a truly reliable means of defense. The S-300PMU was delivered to Czechoslovakia in 1990, becoming part of the 71st PLRB. The S-300PMU was intended to replace most of the extant S-75M Volkhov units inside of Czechoslovakia, but the cessation of the Cold War brought to a halt any future plans for reequipment. 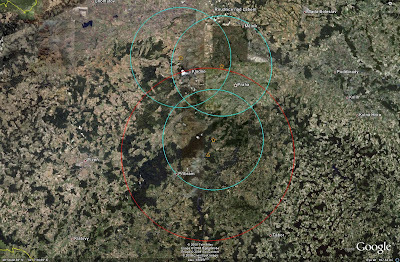 In the end only a single S-300PMU battery was activated in Czechoslovakia, replacing an S-75M battery at a site near Prague. The Czechoslovakian S-300PMU battery was positioned at 49°58'07.64"N 14°00'42.37"E. Following the breakup of Czechoslovakia in 1993, the S-300PMU battery was transferred to Slovakia, where it became part of the Slovakian 36th PLRB. 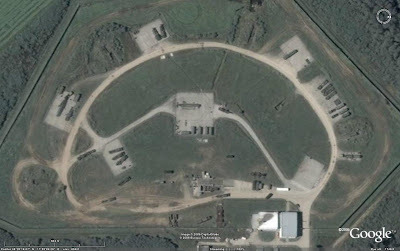 The Slovakian S-300PMU site was active as of August 30, 2005, as evidenced by Digital Globe imagery contained in Google Earth. 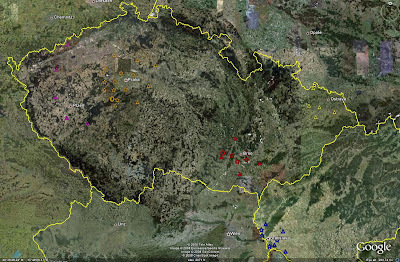 Recently, however, Google has provided coverage of the majority of Slovakia from Geodis Slovakia, imagery which was gathered in 2004. The 2004 imagery does not depict the S-300PMU battery, suggesting that it was not active at Nitra before that date. Czechoslovakian strategic air defense assets would have played a critical role in any Warsaw Pact confrontation with NATO. Aside from providing air defense of critical areas of the nation, the S-200VE batteries combined with those of East Germany and Hungary to provide a significant air defense umbrella for the majority of the Warsaw Pact's western front. Interestingly, there does not appear to have been any significant Soviet contribution to the strategic air defense network in Czechoslovakia. This was likely due to the relatively small number of Soviet military units located in-coutry when compared to other Warsaw Pact states like East Germany or Poland. Feel free to discuss this feature at the IMINT & Analysis Forum discussion thread found here. The range rings used to create this article can be downloaded as a Google Earth placemark file here.